Do you have a severely damaged or decayed tooth? Don’t have it pulled! Dr. James Nelson can save it with a root canal in Metairie. The common endodontic procedure can restore the health of your tooth to allow it to stay in place for many years to come. 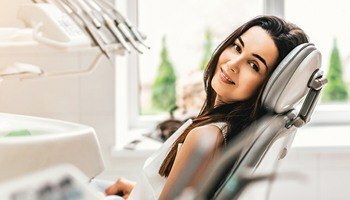 Although it has a bad reputation for being painful, Dr. Nelson uses the latest advancements in dentistry, so it is now no worse than a traditional dental filling. At Nelson Dental Care, we will stop your pain and save your tooth. When a tooth is causing you discomfort, having it pulled may seem like the simple solution; however, every tooth has a valuable role in your oral health. To avoid the complications of missing teeth, it is best to always save your tooth when possible. Tenderness to touch or chewing. Your teeth are composed of three layers: the enamel, the dentin, and the pulp. The enamel is the hard outer layer that protects the inner layers. Underneath it is the dentin, which contains small tubes that connect to the pulp, which is the nerve center for your tooth. When decay, a fracture, or another issue extends beyond the enamel and dentin, it can infect the pulp. By extracting the pulp, your dentist in Metairie can rehabilitee your tooth. The areas of decay and damaged are removed prior to extracting the pulp using special dental tools. 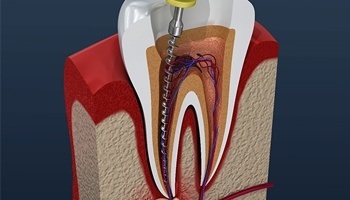 Your tooth is sterilized before it is sealed using a special material called gutta-percha. Now, that its health is restored, Dr. Nelson can improve its function and appearance with a dental crown. It is a custom-made cap that is placed over your tooth. It is designed from impressions of your mouth to meet your exact size and shapes needs. The use of all-ceramic materials allows the crown to be crafted to look like a real tooth. It is made to match your enamel to blend in seamlessly when you smile. With the right aftercare, like maintaining your oral hygiene, your crown can last an average of 10 years before needing to be replaced. It is normal to experience some slight pain and tenderness for a few days following your procedure. It is best to avoid chewing on your tooth until after it subsides. Over-the-counter pain relievers can be used to help manage your discomfort. To help protect the longevity of the restoration, maintain your oral hygiene and regular visits to your dentist for a cleaning and checkup. Avoid chewing overly hard foods to protect it from breaking or coming loose. If you need a root canal, Dr. Nelson can help. Call your emergency dentist in Metairie today!